This ammunition from Remington is one of the most economical ways to get a quality self-defense load for your 1911 or other .45 ACP pistol. 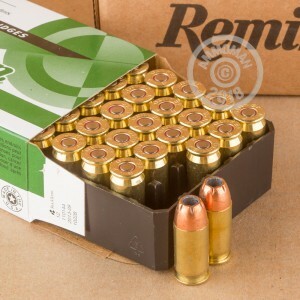 These cartridges come in boxes of 50 and fire a 230 grain jacketed hollow point bullet at 835 feet per second, producing typical .45 Auto ballistics. 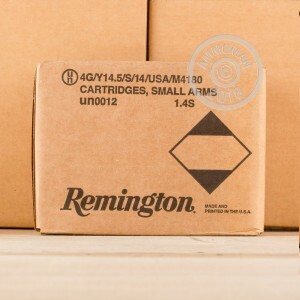 Remington's UMC division is one of the oldest names in the US ammo industry. UMC ammo comes in both FMJ and JHP varieties and delivers excellent value for high volume shooters on a budget. 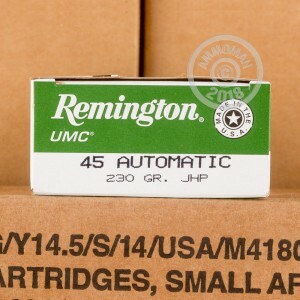 All UMC ammo uses non-corrosive Boxer primers and brass cases. Remember to maximize your savings at AmmoMan.com by placing an order for $99 or more today!